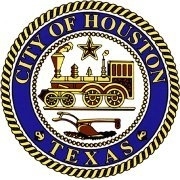 The City of Houston Charter requires that the City Council expand to eleven single-member districts at such point that census data demonstrates that the City’s population exceeds 2.1 million residents. With the much anticipated release of the 2010 US Census, we will begin the process of redistricting in order to add those Districts. The City is interested in hearing from you and your neighborhood regarding your suggestions for the configuration of the new council districts. More Information from the City of Houston. Stay tuned for information from the Civic Club describing how this could affect Westbury.